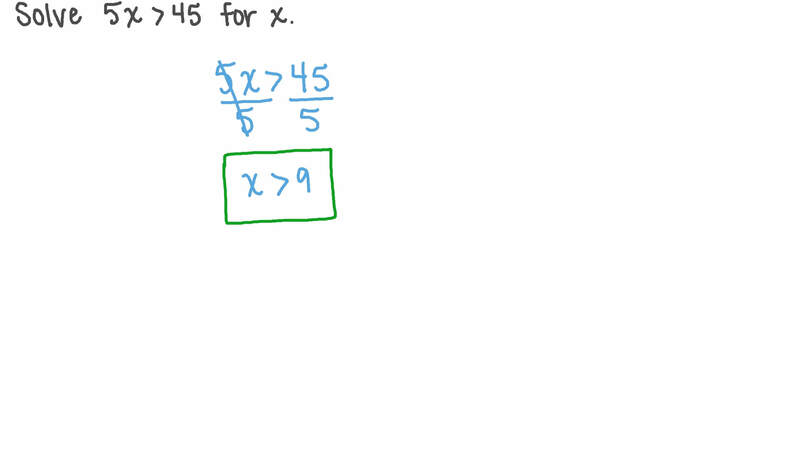 In this lesson, we will learn how to solve inequalities by multiplying both sides by a number. 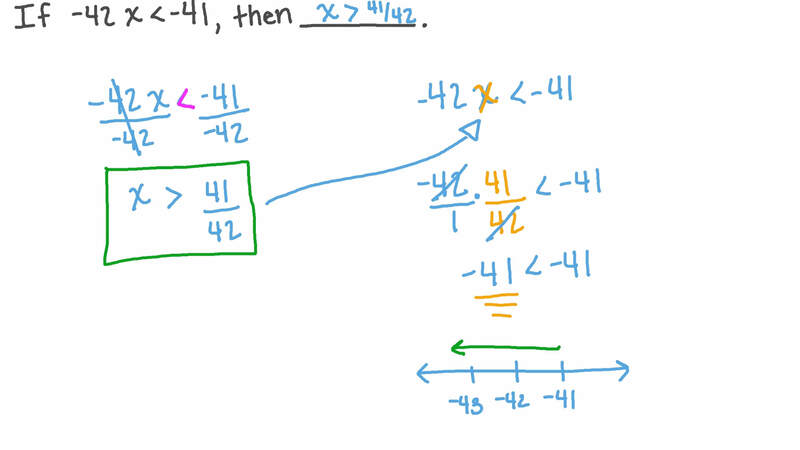 Solve 5 𝑥 > 4 5 for 𝑥 . Solve the following inequality: 1 4 < 4 9 𝑦 . If − 4 2 𝑥 < − 4 1 , then . Given that − 1 ≤ − 6 𝑥 1 0 − 1 ≤ 5 , find the greatest possible value of 𝑥 + 8 . Solve the following inequality: − 2 ≥ 𝑥 0 . 8 . 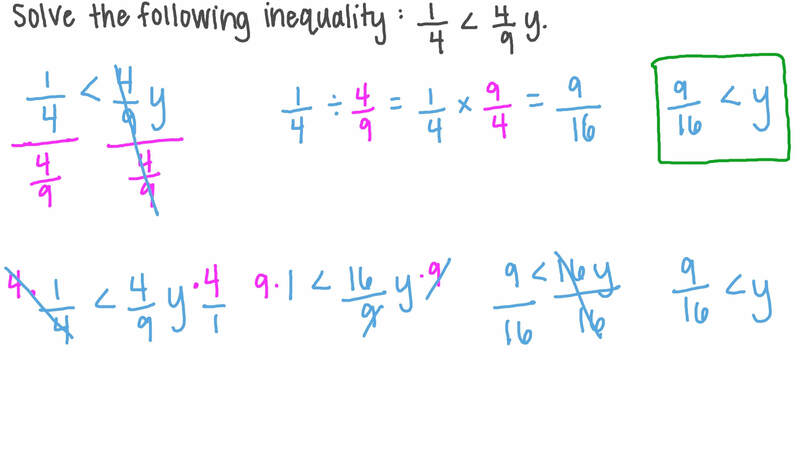 Write an inequality to describe the following, and then solve it: The quotient of a number and 9 is more than 2.